St Bertoline's is very proud of its music and its choir. The Director of Music, Gill Thorley, and her Deputy, Beryl Fox, lead our excellent choir to produce some outstanding hymns and anthems. The Congregation appreciate the organ and choral music and their comments and requests are always welcome. The organ is a digital electronic instrument manufactured by Makin, which was installed in 2005, replacing the old pipe organ. It is the Westmorland 27 model with 2 manuals (keyboards) and pedals, with 27 stops and the usual couplers. There are manual and general thumb pistons to help with the registration changes. The tone is produced by sampling the sound of real organ pipes and storing them in memory digitally, then they are reproduced electronically through the speakers. The sound is remarkably true to pipe organ intonation and is musically very satisfying. For Sunday services, typically, there will be solo organ music for about 20 minutes before the service, with a short concluding piece at the end of the service. For other services such as weddings, funerals etc, choice of music can be made from the organ repertoire or transcriptions of other instrumental pieces depending on personal preferences. St Bertoline’s has a highly successful church choir affiliated to the Royal School of Church Music. The choir regularly performs a range of 4-part church music but is seeking to consolidate its high standards and expand to include 6-part singing. Young people are encouraged to come along and try out for the choir. Also particularly welcome would be tenors and basses with a basic ability to read music. Young or old or anywhere in between, age is no barrier! The choir meets on Tuesday evenings at 18:30 at the church. Members are committed and enthusiastic and enjoy an active social life. 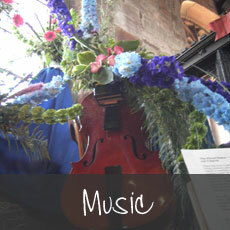 If you would like to know more please contact the Director of Music on 01270 878293. Last year’s report began on a sad note with the departure of Gill Barrow (for the Wirral) and the loss of Albert Woodhouse. This year I am pleased to report an increase of three in our number. Mary Morris has joined the soprano line, Alan Smith has effectively doubled the tenors and we are delighted to welcome back soprano Val Allan. All three have made a significant contribution. There is, however, no room for complacency. The continuing shortage of tenors and basses means we can no longer sustain four-part harmony to the same extent and a balance between the parts is at times difficult to achieve. Being a chorister involves at least an elementary ability to read music and a consistent commitment to attend practices and major services. Occasionally I have been asked whether or not these pre-conditions are requisite and necessary for membership. Neither the choir, nor the congregation, would I think wish to see quality superseded by quantity. So, as our search continues for male choristers we should be grateful for your help and prayers. Our growth in numbers was, in many ways, thanks to Her Majesty the Queen’s ninetieth official birthday celebrations in June when it was decided to invite members of the congregation to experience life as a Barthomley chorister. Nine intrepid volunteers answered the call. Much to their amazement they were asked to participate in all the choral items including the anthem, “Alleluia” by William Boyce and the stirring “Old Hundredth” arranged by Vaughan Williams for the Queen’s coronation. All nine conscientiously attended rehearsals and sang alongside the choir like seasoned members. By all accounts they enjoyed their time with us and I think all who attended the service would agree that they should be extremely proud of their achievement. much appreciated when the Bishop went out of her way to thank the choir personally for their part in the service. In November we sang something quite different for Remembrance Sunday: a very modern version of “Drop, Drop Slows Tears” by Kerry Andrew. With the world in turmoil, with countless refugees humiliated and rejected and with haunting pictures of young children in war zones paraded on our daily news programmes, the words of “Drop, Drop Slows Tears” usually sung at Passiontide, seemed very appropriate. I hope its evocative harmonies helped us in some small way to reflect on the futility and cruelty of war. Praise indeed! There was also the hint of a ripple of applause after “Masters in this Hall”, but for me the jewel in the crown was the trio ”A Babe is Born” sung by Ruth Wilde, Angela Speedy and Lynne Evans. As always many thanks go to our organists, to Chris Bailey for car parking facilities, to Darrel & Angela for winter comforts and to you all for your appreciation and support of our work. I hope the music goes some way in helping to achieve those intentions.